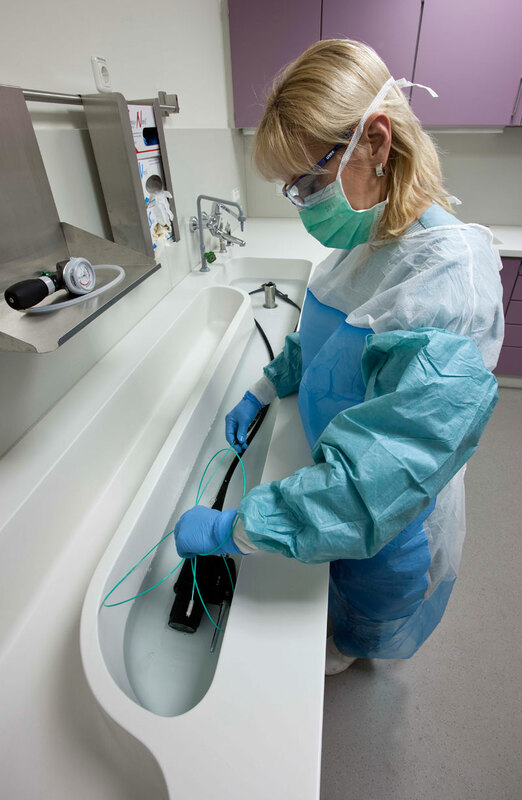 Pleasantly and carefully-designed, BECKER endoscope sinks enable the safe and gentle reprocessing of endoscopes. 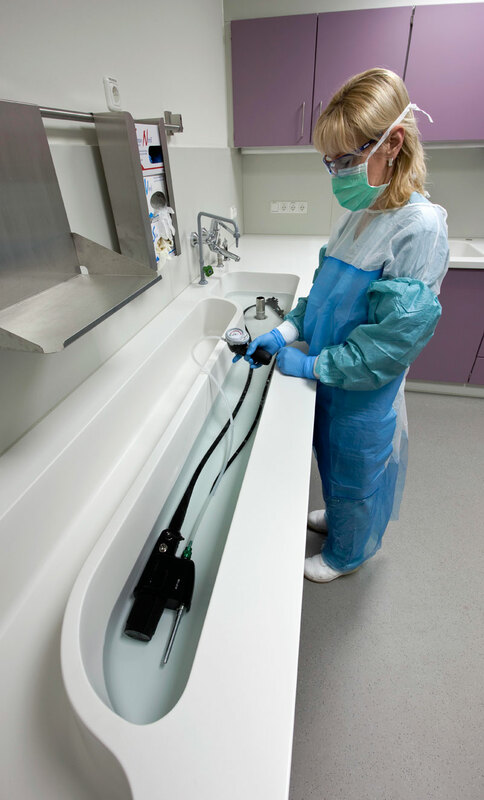 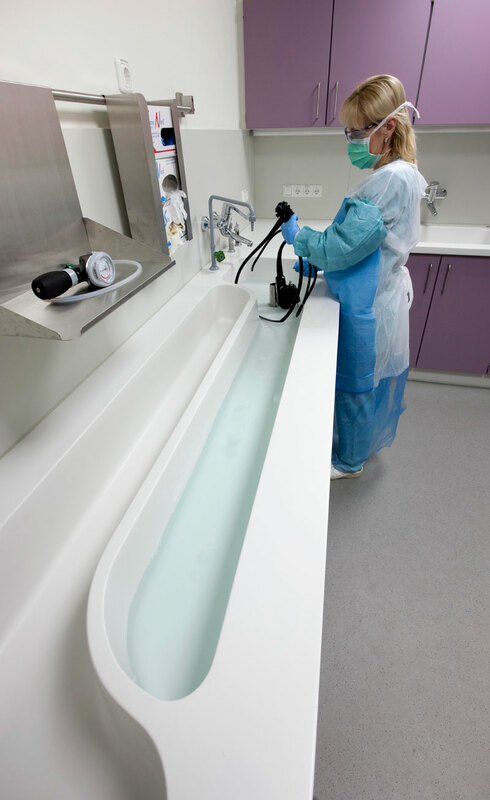 Storage of the endoscopes in a fully-extended position and a basin bottom that slopes down toward the drain hole ensure optimum hygienic conditions. 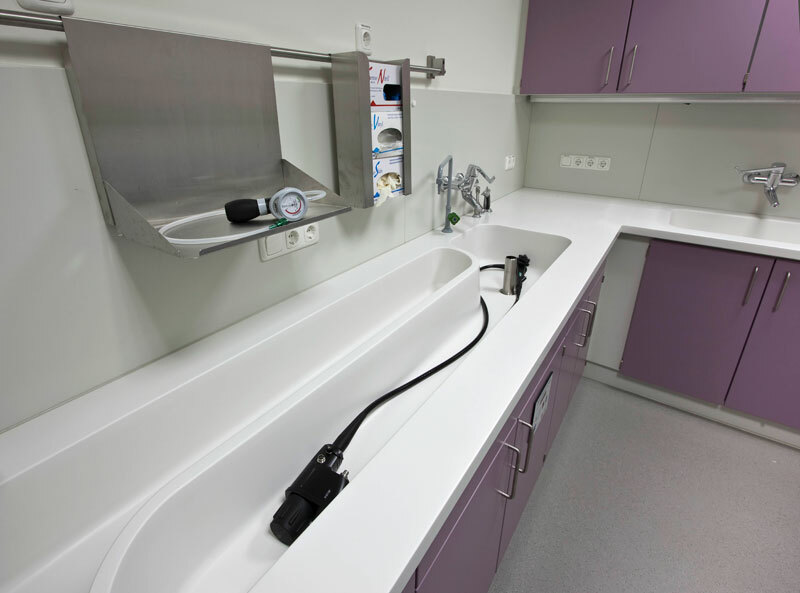 The sinks are made of Varicor, a high-quality mineral material that is resistant to chemicals and disinfectants.